A personal memoir of a woman's journey through pyschotherapy. In middle age, Janyne began to sense that her wonderful, successful life was a cover for deep inner pain she called 'the dark cloud.' During her first EMDR therapy session, three fractured adult parts made a perfect three-point landing in her conscious awareness. 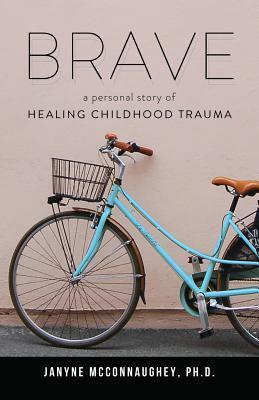 Thus began three years of intensive therapy, as she fought to heal from sexual abuse that began in a home daycare at the age of three. With a sometimes conflicted faith in God, and with the support of both her therapist and her husband, Janyne fought to heal and integrate. This is Janyne's story but also a tribute to how a therapist and client worked together as a team to heal attachment wounds and increasingly tragic memories. Insights into the early wiring of unmet attachment needs, as well as dissociative coping mechanisms, are included throughout. Both pain and hope for healing are present on every page. Janyne is both vulnerable and triumphant in her writing and will help her readers believe healing from childhood trauma is possible.